Saif Ali Khan and Kareena Kapoor Khan have been on vacation in London for over a week now. They have taken a much-needed family vacation with their baby boy, Taimur Ali Khan. 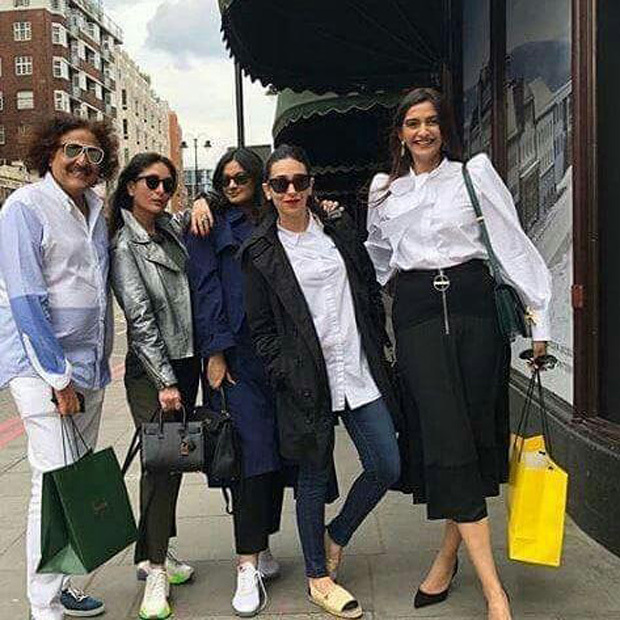 Along with them, Kareena’s Veere Di Wedding family including Sonam Kapoor and Rhea Kapoor have been in London for some downtime. They are often seen enjoying lunch or dinners together whilst in London. 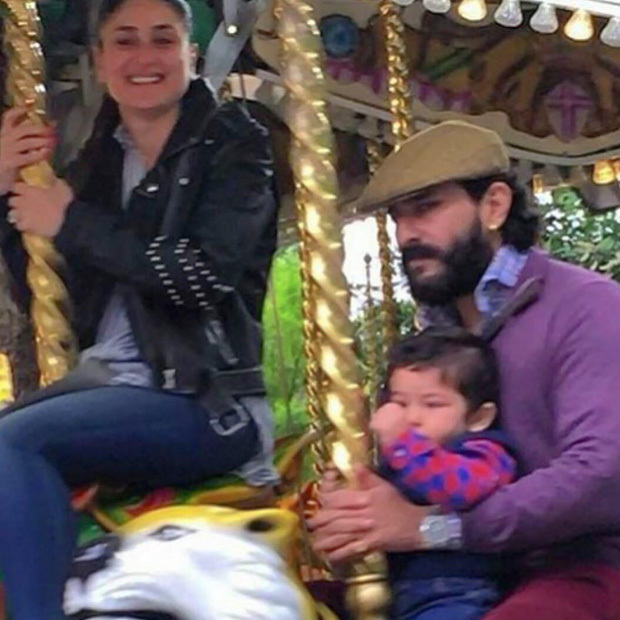 Meanwhile, Kareena Kapoor Khan and Saif Ali Khan took some time off to take their son Taimur to the fantasy park. 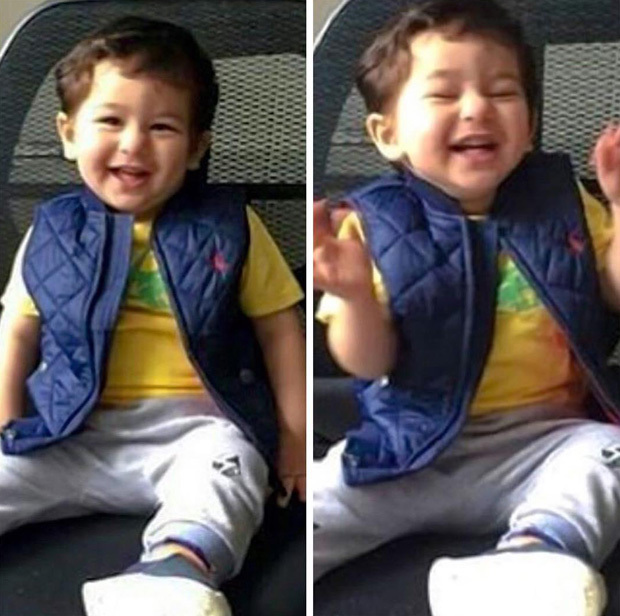 In a new picture, they were seen Taimur enjoying a merry-go-round ride. In the picture, the little toddler is seated with dad Saif on a horse whilst Kareena is seated close by. Rhea Kapoor also shared an Instagram story in which Saif Ali Khan and Kareena Kapoor Khan joined Sonam Kapoor Ahuja and Anand Ahuja for lunch. all of them with Saif Ali Khan and Anand Ahuja, who were out for lunch. Everyone is seen thanking Kareena for taking them out for lunch. Meanwhile, Veere Di Wedding has already crossed Rs 75.53 crore at the box office. On the work front, Kareena Kapoor Khan is yet to announce her next project. Saif Ali Khan, on the other hand is busy with the promotions of his Netflix show, Sacred Games. Sanju Diaries: Did you know Sanjay Dutt smoked for the first time at the age 6?